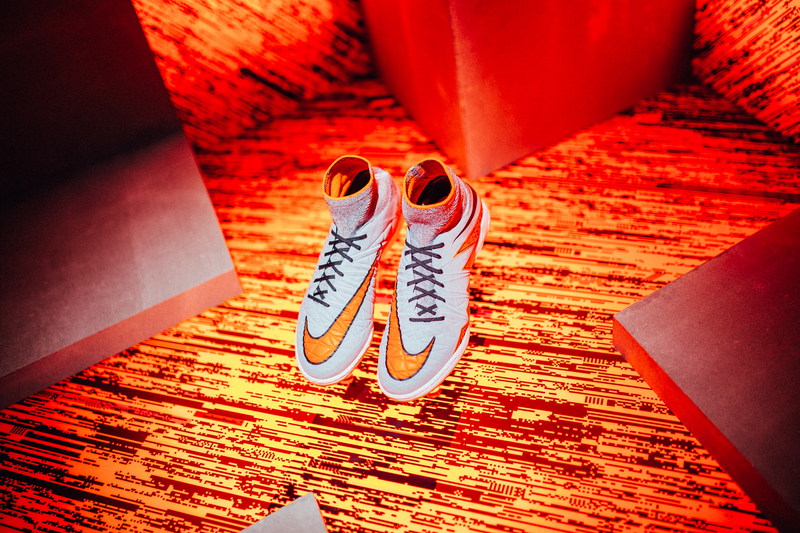 Translating Nike’s new Hypervenom II boot for small-sided football, HypervenomX is designed for attacking players who are deceptive by nature — capable of moves in any direction and usually making the one their opponent least expects. The boot is engineered to work with the foot and enable deadly agility. Nike Flywire is strategically mapped into the upper with additional siping added in heavy ball-contact areas for enhanced touch. The Flywire is integrated into a responsive loft mesh of varying density levels. HypervenomX joins MagistaX and MercurialX to comprise the NikeFootballX family. NikeFootballX merges Nike’s pinnacle boot technology with design elements unique to small-sided football. The “X” in NikeFootballX is a nod to the combined number of players in a game of five-a-side. HypervenomX is the first NikeFootballX boot to mix a Flyknit collar with an enhanced mesh upper. 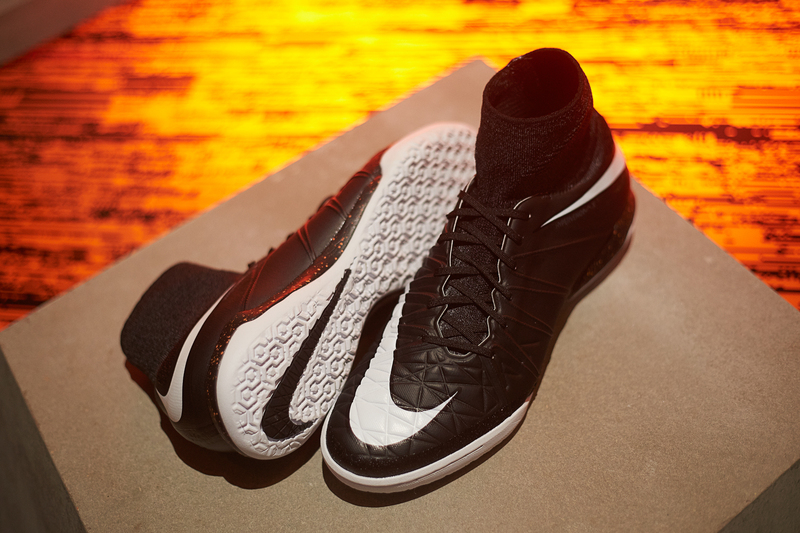 HypervenomX also features recycled Nike Grind rubber on high abrasion and drag areas for enhanced durability. Comfort against hard surfaces has also been taken into consideration with Phylon cushioning. HypervenomX debuts in a black “Street” colorway as well as the lead colorway of its 11-a-side counterpart. Both boots will be available in indoor court (IC) and turf (TF) versions with outsoles that cater not only to the relevant surface, but the underfoot play prevalent in small-sided football. Nike HypervenomX will be available beginning June 5. What do you think of the new NIKE Hypervenom II? Let us know in the comments section below or on our Twitter and Facebook pages.